"Global markets for aerial work platforms are stable at healthy levels and our dedicated, passionate Terex AWP team will continue to meet the growing demand of our customers around the world," commented Matt Fearon, Genie President Terex AWP. Terex Corporation (NYSE: TEX) announced fourth quarter 2018 net sales of $1.2 billion, up 16% versus Q4 2017 net sales of $1.1 billion. For the full year 2018, Terex reported net sales of $5.1 billion, an increase of 18% versus net sales of $4.4 billion for the full year 2017. Terex also announced an agreement to sell its Demag Mobile Cranes business and a decision to exit its mobile crane product lines manufactured at its Oklahoma City facility. The Demag Mobile Cranes business sale, which is subject to government regulatory approvals and other customary closing conditions, is expected to close in mid-2019. Terex will continue to manufacture and support several specialized crane products. "Overall, our global team executed well in the fourth quarter, completing a strong year for Terex," remarked John L. Garrison, Terex Chairman and CEO. "We continued to implement the Focus, Simplify and Execute to Win elements of our strategy and made significant progress in our Commercial Excellence, Lifecycle Solutions and Strategic Sourcing priority areas. We also continued investing to improve the experiences of our customers and grow our businesses. We will continue to support all of our customers, including those affected by the changes in our Cranes segment, as we execute our strategy to be a high-performing, customer-focused company." The Terex AWP business segment increased net sales by 19% to $536 million in Q4 2018 and $2.6 billion for the full year 2018, +24% versus 2017. Results were driven by strong growth in North America and the Asia Pacific region. Terex AWP entered 2019 with a healthy backlog of $868 million, up 14 % versus prior year, or $1.1 billion, up 21% including Terex Utilities. "Global markets for aerial work platforms are stable at healthy levels and our dedicated, passionate Terex AWP team will continue to meet the growing demand of our customers around the world," commented Matt Fearon, Genie President Terex AWP. "The Genie brand is synonymous with technological leadership and innovation. 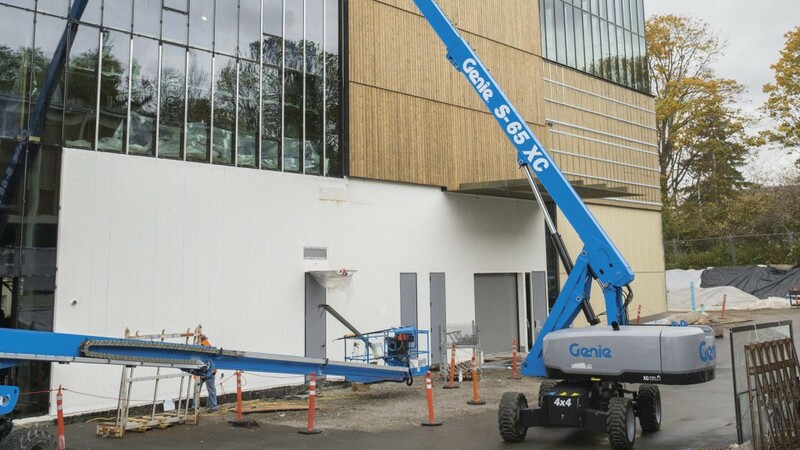 In 2019, we're using the ANSI standard change as an opportunity to innovate and add customer value with the Genie XC family of booms that increases platform capacity allowing contractors to safely lift more workers, tools and equipment. These innovations are part of our long-term product development strategy that will drive growth. Our Utilities team will remain focused on delivering best-in-class customer experiences by implementing our manufacturing strategy and executing new product and service development plans."